If it's a bit chilly outside why not meet that cool weather with a slick Alé Klimatik unisex jersey in the PELOTON magazine color-way? Water repellent with a long tail and high collar, the Klimatik is ideal for cool weather and rainy days. The three pockets in the rear are made of 3L laminated water resistant fabric and are spacious in design. 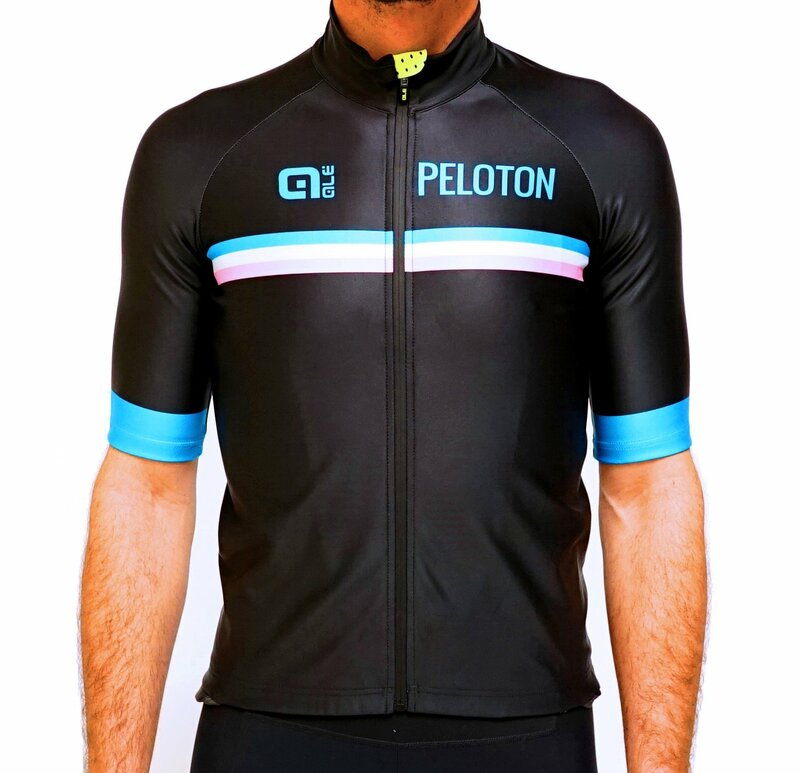 Combine all the technical details, including windproof properties, with a stylish design, and this could be the ultimate jersey for you. Please check that sizing image in our gallery! Limited run. Alé products tends to fit small.